On Monday afternoon, April 1, 2019, Pittsburg officers responded to a residence on Beechwood Court in regards to a stabbing. When officers arrived, they found an adult female suffering from stab wounds to her upper body. The woman was identified as Kirstiene Catapusan (28 years old). Catapusan was later transported to John Muir Medical Center in Walnut Creek where she died due to multiple stab wounds to the upper body. During the investigation, it was learned that Catapusan and her cousin, identified as suspect Henry Brodie, III (29 years old), engaged in an argument inside the residence. During the argument, Brodie became enraged with Catapusan and stabbed her several times with a large knife he retrieved from the house. Family members at the residence intervened, detained Brodie and called 911. Officers arrived at the house and placed Brodie under arrested, later transporting him to the police department. During the investigation Brodie was interviewed by detective and admitted to his actions, stabbing Catapusan several times during the argument. He was later booked and transport to the Martinez Detention Facility. Today, detectives met with the District Attorney’s Office to review the case for charges against Brodie. The District Attorney’s Office filed Murder charges against Brodie. Brodie remains in custody at the Martinez Detention Facility on a $2,000,000 bail. 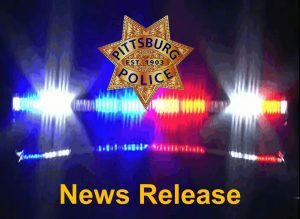 This is the city of Pittsburg’s second homicide of the year.